As we do on every Monday, the blog wants to encourage you to visit wonderful places across this amazing country we call the United States. Last week, we told you a little bit about the Ava Gardner Museum in Smithfield, North Carolina with the hope that you will drop in the next time you're on Interstate 95 in that area. We also mentioned another museum that honors a celebrity who grew up in small town America - Jimmy Stewart from Indiana, Pennsylvania. So, we COULD call that museum out today, but we already sorta kinda did. With that in mind, we're going to head a little farther west. 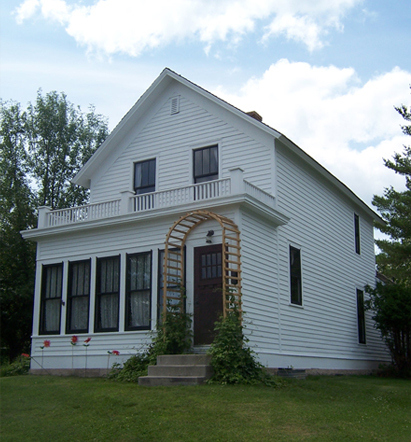 All the way to Minnesota, and the Judy Garland Birthplace Museum, located in Grand Rapids.